Nano-sized particles are widely regarded as a tool to study biological events at cellular and molecular levels. However, there are only a few imaging modalities that can visualize interactions between nanoparticles and living cells. A new technique - pulsed magneto-motive ultrasound imaging, capable of in vivo imaging of magnetic nanoparticles in real-time and at sufficient depth is introduced in this study. 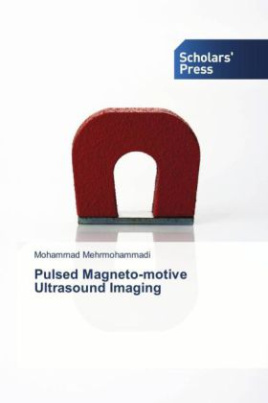 In pulsed magneto-motive ultrasound imaging, an external high-strength pulsed magnetic field is applied to induce motion within magnetically labeled tissue and ultrasound is used to detect the induced internal tissue motion. The results demonstrated a sufficient contrast between normal and iron-laden tissue labeled with ultra-small magnetic nanoparticles for ultrasound detection of magnetic nanoparticles. A laboratory-based prototype system was built and subsequently optimized through experimental studies.